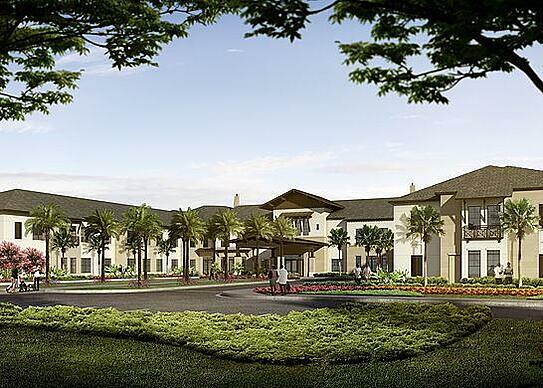 Starling Senior Living is opening its newest assisted living and memory care residence at Nocatee. Starling at Nocatee will be located at the Nocatee Town Center, east of Crosswater Parkway and Splash Water Park. Construction will begin Spring 2016, and will open Fall 2017. The community will offer 16 unique resident unit types, ranging from studios to two-bedroom units. Large unit sizes will feature high-end finishes, including stainless steel appliances with full-size refrigerators, tile showers, stone countertops, and decorative cabinets. Restaurant-style dining will be available to Starling at Nocatee residents at mutliple venues- including a bistro/bar, outdoor country kitchen, main dining room and private dining room. The community will also feature activity rooms, an art studio, an internet lounge, and a multi-purpose room. Additional community amenities will include an outdoor lanai, fireplace, and resident gardening area. Residents will have exclusive access to a private putting green, walking trails, and generously landscaped courtyards. A dedicated wellness suite with spa, salon, therapy and fitness will be located within the community, as well as a treatment room for visiting specialists. For more information on the services this senior living community will provide, you can request more information by clicking HERE or calling 904.301.9100.